Hi, I’m Doriane, a French student who lives in Tours (France) for my studies. The Scott Monument is a Victorian Gothic monument to Scottish author Sir Walter Scott. It is the largest monument to a writer in the world. I am in the first of a two-year technical course in International Trade. During the first year I have to do an internship abroad for 2 months. So I have chosen to go in Scotland because before that I have never been to this country and it was one of countries that attract me the most, but it was very difficult to find a company who want to take intern. After a few weeks of research, Dimitri and Alicia (interns of last year) talked to my friend Nora and me about Tribalogic (who run Caravan Sitefinder) and their internship in this company. So we decided to contact Robin Morris the director of Tribalogic and he gave to us the chance to make our internship in his company. We were very excited to meet Robin and the whole team. On the 30th April, we arrived in Edinburgh and we laid down our hats for 2 months in Bellevue Road, a very beautiful and quiet place in Edinburgh. On Tuesday 1st May at 10am, it was our first day in Tribalogic. All the team of tribalogic welcomed us and was enjoyed to meet us. Then Robin Morris and Adam Aaron explain to me that I will work for Caravan Sitefinder. In the first week I discovered the website, how it works and who manages this website. So I learn that Caravan Sitefinder is a holiday accomodation service website. It includes more than 5,000 parks listing across the UK, Ireland and France. More particularly it’s a caravan and camping search website in the UK. Thanks to it we can book our holiday online. The goal of this website is to make easy for campers, caravanners and motorhomers to find parks where they want and make it easy to book too.  Caravan Sitefinder had also a mobile application. In my internship I have to do customer tracking, so my goal for Caravan Sitefinder during 2 months, will be to search new parks, to improve the visibility of Caravan Sitefinder in social networks and make them more visible. During my internship in this company, I could observe a way to work completely different that in France. For example the team of Tribalogic organised meetings regularly, almost everyday to develop the important topics, to know the point of view of each member of the team. And one of the biggest difference with the France is the proximity between the boss and employees. Indeed, the director is in the same office than his employees. At the beginning of the second week, Lyle Markle (the designer of the website), gave to us a map of the town with all the most beautiful places as well as the historic places of Edinburgh. Then we go in town to visit all this places and take a lot of pictures for Caravan Sitefinder. That allowed us to discover the town and his most beautiful places. So we visited Bute House, Charlotte Square, Scott Monument, Calton Hill, Holyrood Palace, John Knox House, St Giles’ Cathedral, Greyfriars Bobby Memorial Statue and Grassmarket. Charlotte Square is a garden square in Edinburgh, part of the New Town, designated a UNESCO world Heritage site. Calton Hill is a hill in central Edinburgh,situated beyond the east end of Princes Street and included in the city's UNESCO World Heritage Site. The monument on Calton Hill which overlooks Edinburgh city centre.